This one-of-a-kind handmade porcelain Seder Plate will complement any Passover table. The plate was first wheel-thrown and then altered to create subtle insets. The background is glazed in a glossy milk white with flecks of ice blue/white throughout. 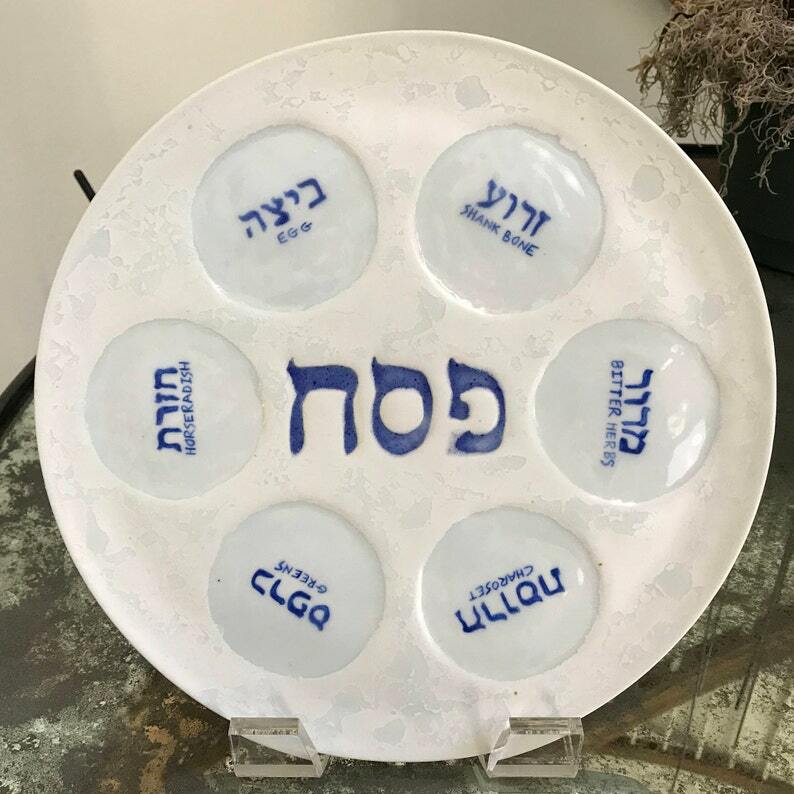 The names of the seder foods are hand painted in Hebrew and English and glazed into the ice blue/white glossy circular insets on the plate. Clear plastic bowls can be included with this order free of charge.